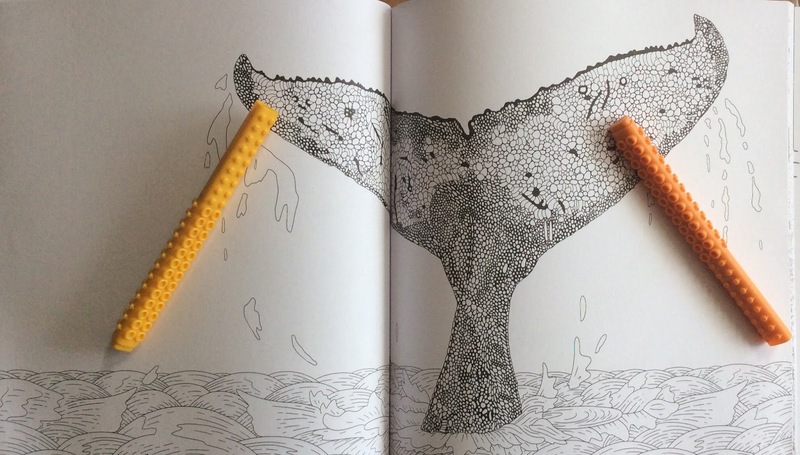 Colouring books that are based on fiction have an obvious plot for structure. Similarly, colouring books based on a non fiction subject can be really informative. I like to learn as I colour. 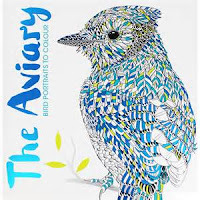 The Nordic environment is something I have a rather vague knowledge of, so this book is really compelling to me as a chance to research what these animals, birds and fish really look like, while colouring them. 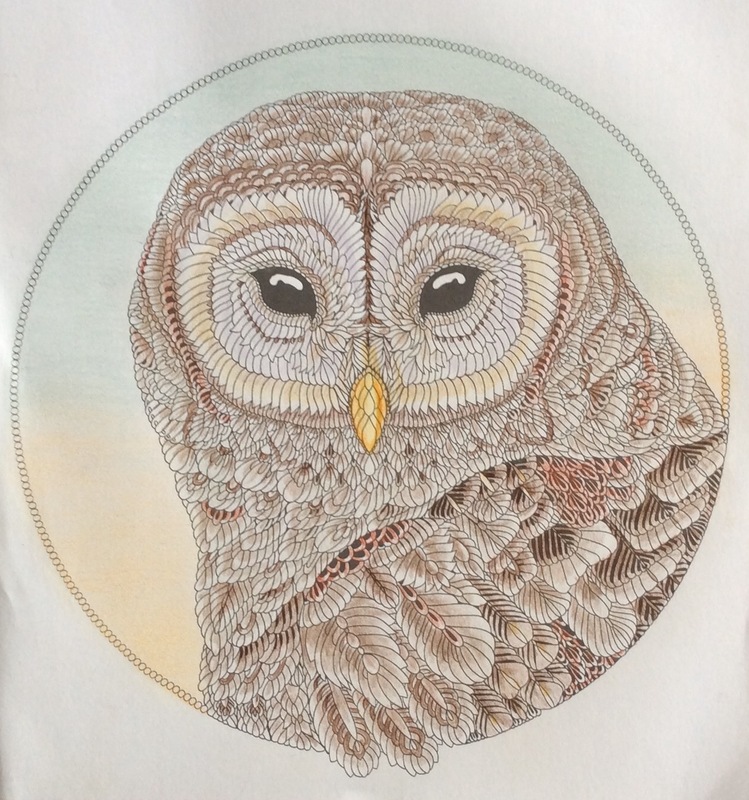 German publisher Grafe und Unzer have produced another beautiful colouring book of a similar standard to Exotischer Urwald, reviewed here. Claire Scully is one of my favourite UK illustrators, so this combination of publisher and artist was always going to be a winner. The book is just beautiful and I'm thrilled to have it as part of my small but select collection. 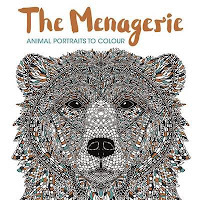 Are you familiar with the colouring book, The Menagerie? 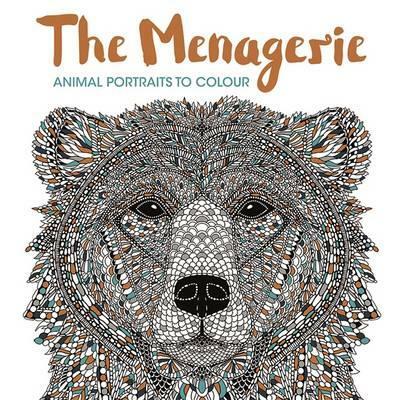 Claire Scully is the creator of that wonderful bear image on the cover. 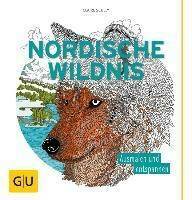 Her drawings in Nordische Wildnis are just right; not too detailed and fussy, yet inviting you to take either a strong, brightly coloured approach or adopt a subtle, natural colours style. I was pleased to see some double page spread, landscape scenes in this book. 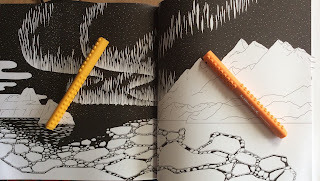 I'd seen some of Claire's landscape monochrome drawings before, but not come across them in a book. How tempting is it colour this Northern Lights scene? There are several creatures on double page spreads too. 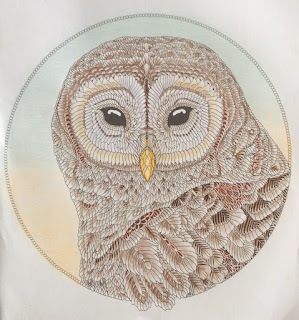 The wonderful owls in flight, the breaching whale, the snake and the fish to name a few. 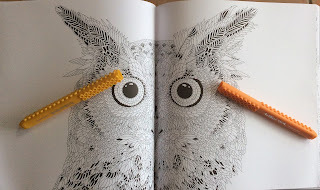 Other images are more focused on to one page. There are some pages with less drawing on them, while others have more details in the images. All have a strength and prescence about them that makes me go, wow! The cover of this book is similar to the earlier book. It is the same in size and shares features. As with Exotischer Urwald, there is a surprise in the layout. 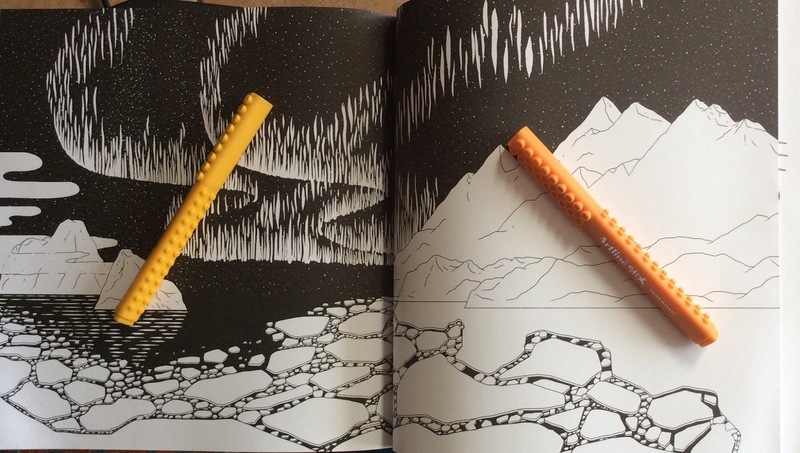 In addition to fold out endpapers to colour, at the back of the book are 3 detachable images on card stock, along with 2 large bookmarks and 2 postcards. Such a fabulous feature. 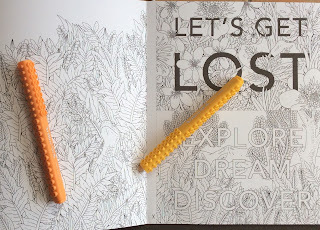 The inside cover also folds out to reveal foliage to colour. 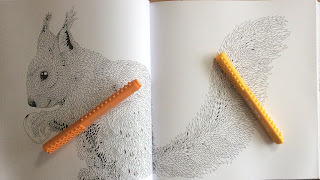 The book has double-sided pages with some images going into the spine. 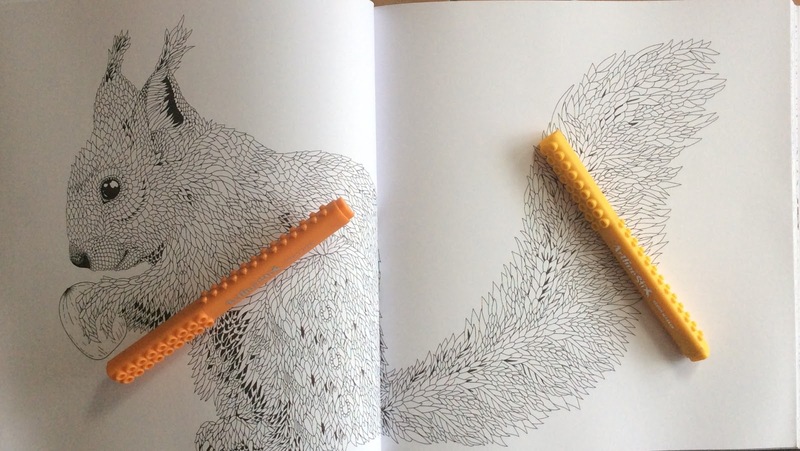 This is not the best option as some beautiful, double page spreads lose some of their impact and ease for colouring, by having to negotiate the spine. 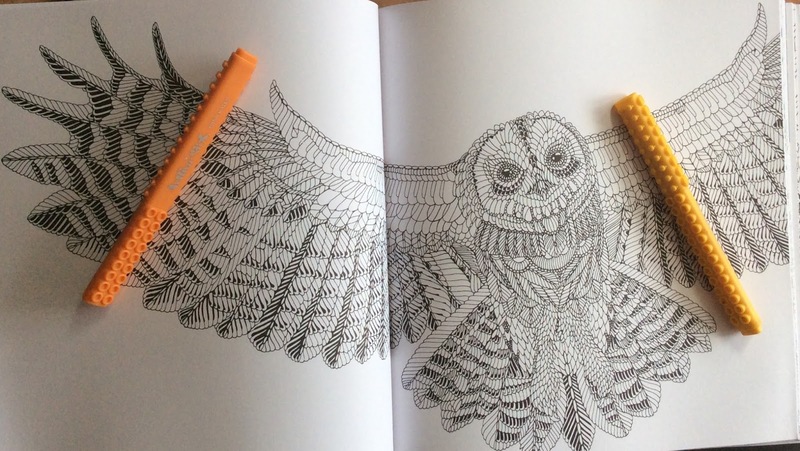 Perhaps the inside covers would have been a good place to have some of the double page spread creatures, such as the Owls in flight? The pages are not bordered and there are just a few pages with extra space for your own drawing or backgrounds. Binding is glue and string, and mine is already loosening up a bit to make getting into the spine easier. The white, good quality paper is suitable for pencils and most water-based pens with careful handling. As always, test out your pens and pencils if you can find a space. 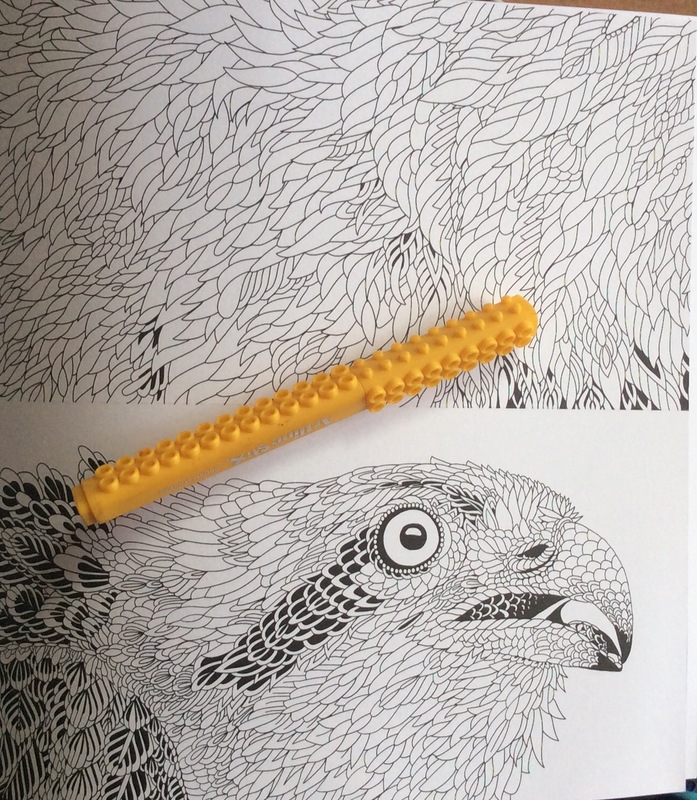 You've coloured these beautifully. I really don't need another book but I think I *really* want this one!! Hi Rebecca. Thanks for popping in. This book is a keeper for me. 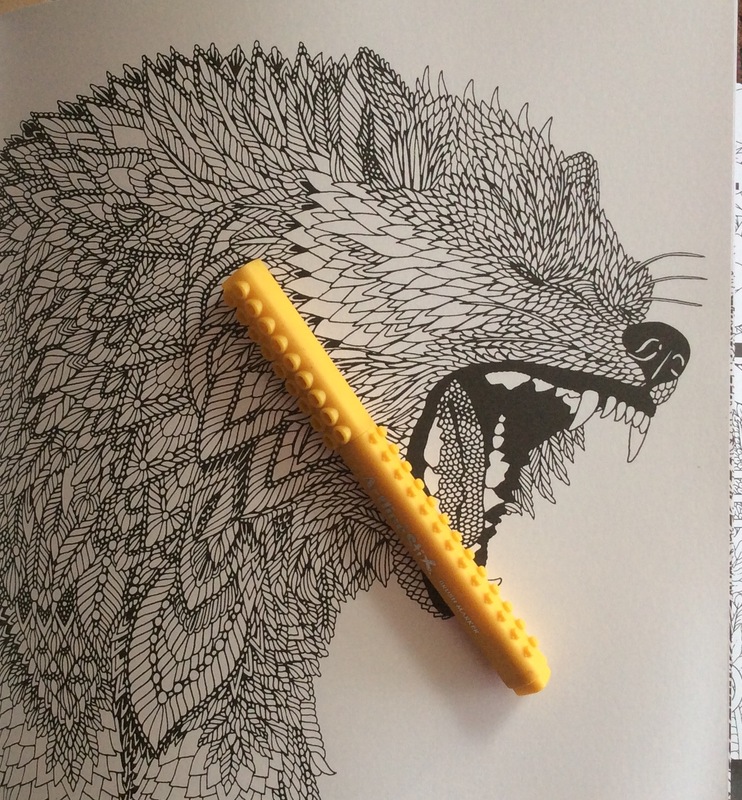 I like the idea of tackling colouring white animals too. And the colours you can use for Nordic type of scenes are a nice contrast to the jungle and forest books that are trending. There's a sort of space about it and a feeling of fresh air that I really like. Jungle and forest books can feel a bit claustrophobic after a while.